In my capacity as a Michigan DUI lawyer with more than 144 DUI-related articles (to date) on this blog, I have analyzed and examined every aspect of a Detroit-area drinking and driving charge in detail. It has been a while since I’ve written about the subject of BAC results, even though they play a central and fundamental role in every operating while intoxicated (OWI, the actual term under Michigan law for a “DUI”) case, and I think it’s time to circle back to this important subject. This article will focus on the importance of your BAC score, whether it’s from a breath or blood test. To be clear, this will NOT be an article about “high BAC” DUI cases, although we will, of course, talk about them as part of our larger discussion. Your BAC result, and particularly the defining role it plays in your DUI case, is largely a matter of perception. Some of this is inevitable and unavoidable, while some of it can be managed. There are three aspects of this, in particular, that we’ll examine as we survey the larger landscape of the significance of your BAC results in a DUI case. Let’s begin with a simple, if unpleasant, conclusion: Your BAC score says a lot about you. Ever since breathalyzer tests have been given, we have judged how drunk a person was at the time of his or her arrest by looking at his or her breath test results. It is human nature for anyone to feel a little bit defensive about his or her own score, so rather than thinking about your own, think, for a moment, about a news story involving the DUI arrest of some celebrity you don’t like. When the news announces his or her BAC results, we tend to take notice, or even sneer, especially when the results are 2 (or more) times higher than the legal limit. While it’s true that different people have different tolerances, in the realm of DUI cases, having any kind of tolerance to alcohol is not a good thing. You don’t need to be a rocket scientist to figure out that telling the Judge that you didn’t feel buzzed or drunk, even though your BAC score was over the legal limit, isn’t a good idea. That’s tantamount to saying that you’re an experienced drinker and have gotten so used to drinking enough to be over the legal limit that you’re not impaired by it. Being able to hold your booze is not an asset here, and saying that “I wasn’t that bad” is not a winning strategy. The main point to this article, and this discussion, is this; your BAC score is used as a label and essentially defines you in your DUI case. Just about everyone knows that the State of Michigan passed a high BAC law a few years ago. Less known is that, now, a lot of local municipalities have taken legislative action and passed their own high BAC ordinances, not surprisingly, to get in on a piece of the money action. The first real-world perception in your DUI case that matters is whether or not your BAC indicates a tolerance to alcohol. You can argue this until the moon turns blue, but if your BAC result is up around .18 or higher, every Judge in the world will see you as having a tolerance to alcohol. In fact, the more you argue against that, at least openly, the deeper the hole you dig for yourself. Beyond being seen as having a tolerance, you’re going to be seen as being in denial about your drinking, as well. This is where I have to convince my clients to let me do the talking. If you want to argue, then argue with me, not the Judge. I know how to develop and present arguments that win. Beyond just being a “DUI lawyer,” I also bring a clinician’s perspective to the whole DUI field and this is invaluable in helping the outcome of your case. Lots of lawyers attend lots of seminars about the law, and the science of breath testing, and I certainly attend my fair share of them, as well, but not of them focuses on how human beings develop (and recover from) troubled relationships to alcohol. Nor could one gain any basic knowledge, much less expertise, in this all-important subject by just attending seminars. In order to gain a clinical level of understanding of how alcohol and people interact, I completed a post-graduate program of addiction studes. This helps me, for example, protect my client from suffering under the perception that a higher BAC score means he or she has developed a tolerance to alcohol. While it’s true, to a certain extent, that someone who drinks regularly becomes able drink more than someone who is essentially a non-drinker, a mere BAC number, standing alone, is neither a guarantor of a tolerance nor any kind of reliable indicator of one. That tends to go against the obvious impression, but this is where I can back things up empirically. Sometimes, the “worst” things about a case can turn our to be the best. Consider a person who rolls his or her car into a ditch with a BAC of .16. Doesn’t that look like he or she was pretty drunk? Even though this seems “bad,” we can use it to your advantage. Imagine two drivers with the same .16 BAC score: Who seems more like a lightweight and less of a problem drinker, the person who the police say was weaving all over the road, bouncing off the curb, and had to be stopped out of fear he or she might hit someone, or the driver who merely failed to signal before making a right turn? In this case, I would argue that my “all over the place” client isn’t very “experienced” at being a drunk driver. Effective DUI representation involves using clinical knowledge where it is relevant, legal knowledge where it applies, and practical strategy in either or both situations. The second real-world perception that matters in your DUI case is that a higher BAC means you were really drunk. At first, it seems like you might want to rush in and deny this, but doing so only makes you look like you really have developed a tolerance to alcohol, no matter what your BAC was. Although it seems counter- intuitive, there is often every reason to embrace the idea that your BAC reflects that you were really drunk, rather than to reject it. This is the kind of stuff for which you hire a DUI lawyer in the first place. “Expertise,” in the context of being a DUI lawyer, is not just about doing the obvious and the simple. Accordingly, if alcohol is an important part of your life, or social interaction, that certainly presents a risk, if not a problem, at least from the court’s point of view. Moreover, it doesn’t matter who you are or what you do for a living, or who you have to wine and dine as part of your job: It is 100% certain that the Judge is going to order that you NOT consume any alcohol for a while. If you cannot stay away from drinking, for whatever reason, then, at least to the Judge, you are either outright disobedient, or you have a drinking problem. It does, to some extent, trouble me that of all the things written by DUI lawyers, these less-than-glamorous, and perhaps not very money making realities aren’t discussed. There’s only so much to be learned from endless repetitions of self-promotion and sales pitches that always seem to include the words “tough,” “aggressive” and “experienced.” I can only wonder about the general failure to address the importance of BAC results, particularly because even most people charged with a DUI have at least an intuition that this number, particularly as it climbs higher, really matters. Having practiced as a Detroit-area DUI lawyer for more than 23 years, and at least within the circle of Macomb, Oakland and Wayne County courts where I handle DUI cases, I can think of no better way to make my point than to observe that in virtually every drinking and driving case, almost everyone associated with it asks what the person’s BAC score was (“what did he/she blow?”) as a preliminary matter. In fact, when Ann, my senior assistant, tells me of a new DUI client that I’ll be meeting, the 2 things she’ll tell me first is where the case occurred, and what the person blew. Not that long ago, I had to take a file into a Judge’s chambers (with the Prosecutor’s permission) to ask for relief from a bond condition so my client could leave the state. The Judge took the file, and asked me “What did she blow?” As I noted earlier in this article, you can argue or spin this any way you want, but your BAC is a label that attaches to you throughout your DUI case. Without exception, you’re better off with a lower BAC result than one that’s higher. By the time you’re tested, however, it’s way too late to do anything to affect the result. Instead, your best defense is to make sure that the lawyer to whom you ultimately entrust your case knows how to deflect any perception that your BAC score is indicative of some kind of alcohol problem or tolerance. Given the critical importance of this aspect of your case, you should confine your lawyer search to those who likewise recognize its significance, and who candidly address its role, both good and bad. 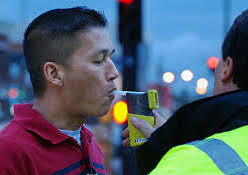 The last thing anyone facing a DUI needs is to be told only what he or she wants to hear. If you are facing a DUI charge anywhere in Macomb County, Oakland County or Wayne County, do your homework to find the right lawyer for your case. Read what each lawyer has written in order to get an idea of his or her approach to DUI cases in general, and, more specifically, the way he or she communicates. Pick up the phone and call; you can learn a lot about an office from the first minute or two with the staff member that answers your call. And of course, as you undertake your search, make sure you call my office, as well.